Black/Silver Nubuck Trainer, which is part of the V-Tech Lady Collection. 150 Degree C Outer sole. 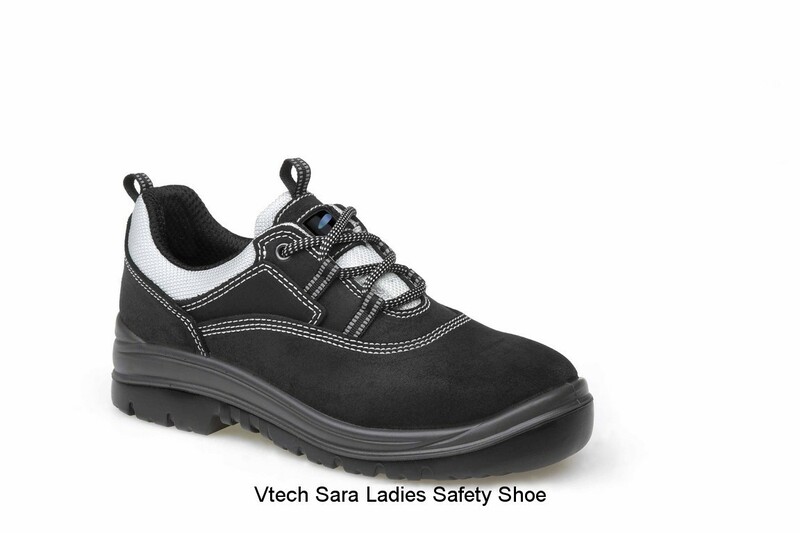 Vtech Sara Ladies Granite/ Silver Safety Trainer. 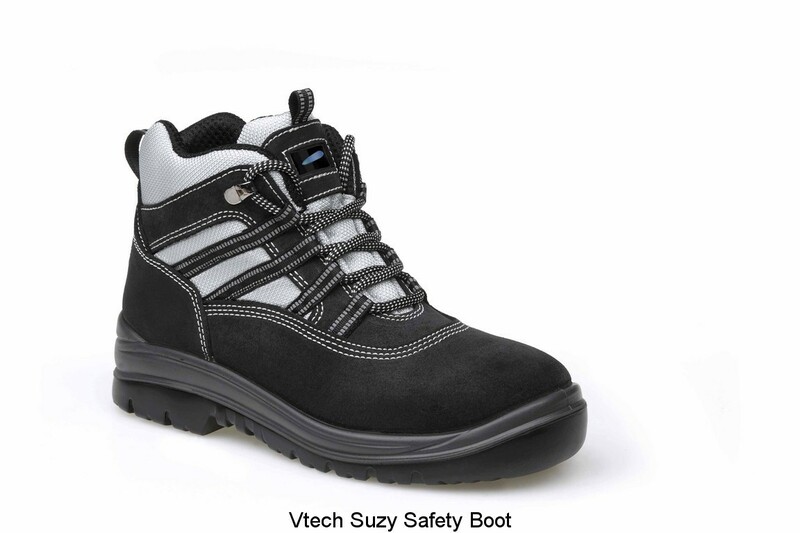 The V-Lady Collection of safety footwear has been specially designed for the female wearer. With smaller designs these boots fit more comfortably than traditional larger safety footwear, orginally designed for wear by men. Heat resistant outer sole to 150°c. Modern black and silver design.